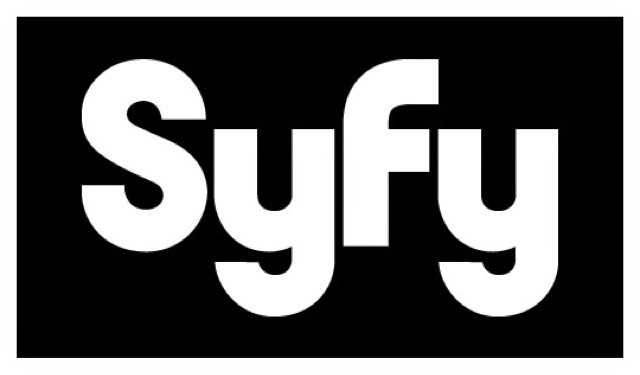 NEW YORK – April 30, 2014 – Syfy today announced a compelling and bold new unscripted development slate of seven projects featuring docuseries about family run horror houses and a special effects pyrotechnics company, Silicon Valley billionaires, fascinating men and women confronting the apocalypse, to the geek pub quiz phenomenon and surviving a disaster – alone. Adam + Eve (WT) – Adam + Eve follows three individual and uniquely-paired couples – all meeting one another for the first time – to experience isolation in separate remote locations over the course of 90 days without any other human contact. As their psyches and bodies are tested by the need to survive, the social experiment will examine the dynamic between two people who have only each other for comfort. Production Company: Studio Lambert/All3Media America (Undercover Boss, The Million Second Quiz). Executive producers: Stephen Lambert, Greg Goldman, Eli Holzman. Alive and Alone (WT) – Alive and Aloneis a first-person POV survival show where, each episode, the “lone survivor” of a remote disaster must use wits, along with whatever can be carried from the wreckage, to make it out alive over the course of nine days. The survivor will self-document the journey while also wearing the latest in biofeedback technology which will capture how the mind and body copes with the grueling experience. Production Company: BASE Productions (Haunted Highway, Man vs Cheetah). Executive Producers: John Brenkus, Mickey Stern. Billion Dollar Club (WT) – What if the odds were 2% massive success and 98% complete failure? Would you take that bet? Set in the belly of the beast - Silicon Valley,Billion Dollar Club is a high-adrenaline, high-stakes docu-series that immerses viewers in the brilliant and cutthroat world of today’s most interesting and forward thinking innovators. The series follows two of the world’s most aggressive accelerator programs: the software concentrated, 500 Startups, led by the relentless drill sergeant Dave McClure; and the hardware focused, Highway 1, headed by quirky genius Brady Forrest, as they guide, challenge, inspire and push a select group of startup companies on a quest to get their innovative ideas off the ground. Who is sitting on the next big thing? A billionaire may be born - launched or sent home! Produced by Zero Point Zero Production, Inc. (Anthony Bourdain Parts Unknown, The Getaway, The Hunt). Executive producers: Lydia Tenaglia, Christopher Collins. Family Affects (WT) – A comedic workplace docuseries following the misadventures of a fiery family-run special effects pyrotechnics company in Hollywood. The show centers around Tom Ceglia, his five kids and their crazy uncle Al as Tom prepares the next generation for his retirement and decides who will take the reins of the business. Will it be his clever-yet-unmotivated son or his outspoken-and-underprepared daughter? In an industry strangled by big digital effects, this family survives and thrives on controlling deadly forces of nature -- but can they survive each other? These loud characters blow things up for popular TV shows, commercials, music videos, and live events, all while managing the quirky antics that will solidify their place as America’s most explosive family. Fantasy Makers (WT) – Fantasy Makersis a family docuseries following the loud, energetic and colorful cast of characters who own and operate one of New York City’s premiere haunted attractions, Blood Manor. When they’re not scaring up city dwellers, the cast is out planning wild-themed events for clients, allowing their most extreme and imaginative fantasies to come to life. Production Company: Vidiots. Executive Producers: Michael Amoia, Anthony Amoia. Geeks Who Drink – This game show centers around the geek pub quiz phenomenon, in which three quizmasters challenge teams in a live geek trivia battle. Production Company: Condé Nast Entertainment (The Fashion Fund, Vanity Fair Confidential), Kinetic Content (Digfellas, Betty White’s Off Their Rockers, The Taste). Executive Producers: Chris Coelen, Dawn Ostroff, Joe LaBracio, Emma Conway. Supervising Producer: John Dicker. The End is Near (WT) – This anthology docuseries profiles fascinating men and women who truly believe humanity is on the verge of a sci-fi-like apocalyptic scenario. Whether it’s a robot revolution, unknown super virus or close encounter of the fifth kind, each episode will follow the stories of the brave families or groups of people who have united to take a stand. Executive Producers: Eric Evangelista, Shannon Evangelista. Twins (WT) – Twins is a house reality social experiment testing fraternal twins who claim to have twin ESP. Through a series of twin telepathy challenges and specifically designed house rules, a big twist will reveal a shocking surprise! Production company: Electus (King of the Nerds, The Hero). Executive producers: Ben Silverman, Chris Grant, Corie Henson, Jessica Sebastian.